All we want for Christmas is turkey betutu. The Christmas menu at Chandi, created by Chef Agung Nugroho, looks exactly like what you would expect from someone who is a veteran of dinner services at some of the best kitchens in New York City: diverse flavor profiles, locally-sourced spices and vegetables, and a finishing dish as audaciously super-delicious as pumpkin chiffon pie. But what really has us excited about spending our Christmas with Chandi is the turkey betutu. We can’t get enough of the slow-cooked spicy richness of ayam betutu. Nothing says “Happy Holidays!” like a juicy roasted turkey. Combining the two? Culinary genius. You have no excuse for missing out on this must-eat meal: Chandi will be dishing up these Christmas courses on Christmas Eve (that’s today!) 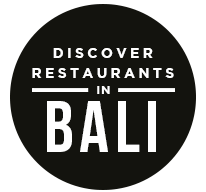 from 6:00 pm ’til midnight and for both lunch and dinner on Christmas Day (that’s tomorrow!) from 12:00 pm ’til midnight. 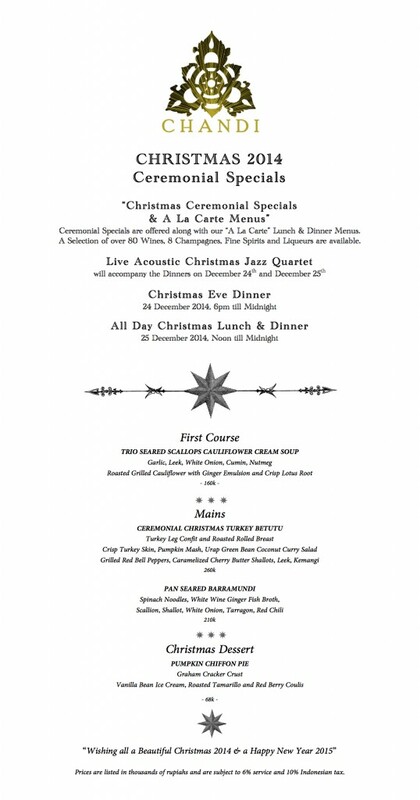 To keep spirits bright and the atmosphere festive, a live jazz band will be playing during dinner service both nights. 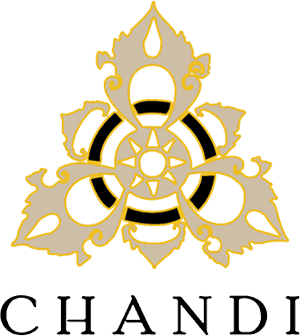 And, just in case you’re stuck with a picky eater or two at your table, Chandi’s complete menu will be available in addition to their amazing Christmas specials. Merry Christmas, Qravers! We’ll see you at dinner. The post Christmas Dinner at Chandi appeared first on Qraved Journal.